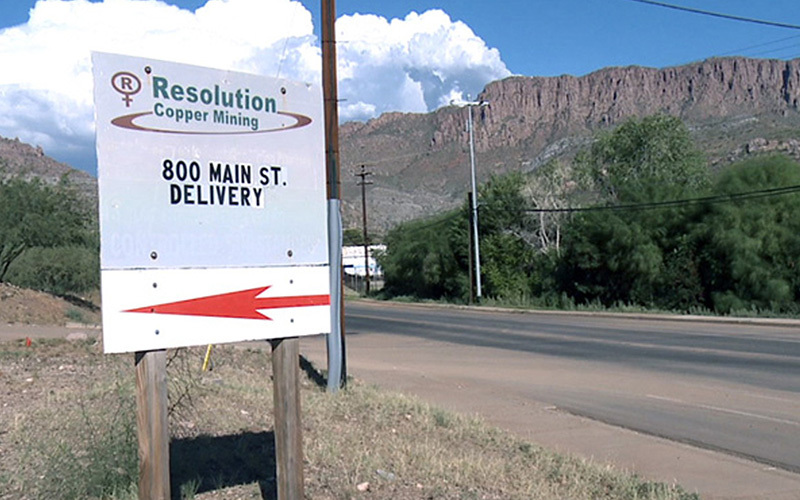 WASHINGTON – The Resolution Copper Mine in Arizona would be operating by now in most countries, but is still years away from getting all the permits it needs to begin mining in the U.S., a company official testified Tuesday. Nigel Steward, managing director of copper and diamonds for Rio Tinto, the multinational mining company developing the Resolution project, told a House Natural Resources subcommittee that “outdated, inefficient” permitting is a “major barrier” to mining companies. But one Arizona representative argued for the necessity of the regulations that he said are there to protect the public from potential health and environmental hazards. “One of the reasons we have regulations in is to make sure environmental, public health and all other attributes of community impact are taken into account before a project is approved,” said Rep. Raul Grijalva, D-Tucson, after the hearing. Their remarks came at a hearing on the “importance of domestically sourced raw materials for infrastructure projects,” at a time when demand for those materials is expected to rise. Steward repeatedly said that Rio Tinto understands the necessity of environmental and other regulations and willingly complies. His concern is with the amount of time it takes: Seven to 10 years in the U.S. compared to two to three in Canada or Australia, which have similar standards, he said. Those delays can lead to “real consequences” in the mining industry, he said, pointing to one study that said the value of the planned Rosemont copper mine, also in Arizona, fell from $18 billion to $15 billion during the years it was working through the permit process. Rosemont is not owned by Rio Tinto. But Grijalva asked Steward how much of wait on Resolution was because of a years-long campaign by the company to swap thousands of acres with the federal government for the mine – a swap that include Oak Flat, a site the Apache claim is sacred to them. Grijalva called the 2014 land swap a “sweetheart deal” that he is still vowing to fight. Grijalva said he believes the delays in permitting allow a crucial time to vet a project that is necessary to keep corporations from taking advantage of states and local communities. Pointing to the hearing’s theme on domestic production of raw materials, Grijalva asked Steward how much Resolution copper will be exported and how much will be used domestically. Steward said he expects the copper will be smelted at a facility in Utah, but that actual amounts exported are “a moving goalpost” due to a rising demand for copper and no sight of a start date for the mine. “It will depend very much on what the ultimate mine size will be and we’re still going through that process at the moment through the permitting process,” Steward said in response to the question.